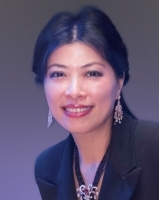 Miss Au is Founder of CL Group (Holdings) Limited, which is a company listed in the Hong Kong Stock Exchange. A successful entrepreneur with substantial experience in private equity investment, Miss Au is also actively involved in voluntary and charity work, particularly in the development of gifted children and elderly services. She has made tremendous contributions toward the establishment of the Yan Oi Tong Au Suet Ming Child Development Centre for Giftedness at PolyU and the Yan Oi Tong Clarea Au Eldergarten.